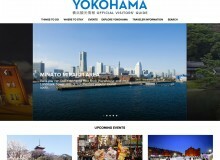 There’s a lot to get excited about in Yokohama. Grand architecture, abundant restaurants and shops, and world-class sporting—go Baystars!—make Tokyo’s little sister to the south a popular spot for a leisurely escape from the hustle and bustle of the capital. Yokohama is also developing a reputation as Japan’s go-to for all things ramen. 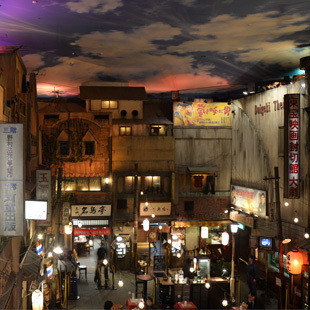 The noodle odyssey begins at the Shin-Yokohama Ramen Museum, a food theme park that, as you might have guessed, is centered around the history of ramen. The ground-floor museum/gift shop offers a well-presented exhibition of the dish’s history in Japan, starting with the “predawn of ramen”—first slurped in 1665—and ending with its popularization and eventual diversification over the course of the 20th century. The museum also houses a statue of the chipper-looking Uncle Charumera, a popular 1960s instant ramen ad mascot. 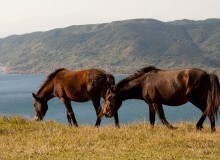 But below ground, the magic really begins. Sprawled out in the space is a two-level food court modeled after a Japanese street from 1958, a significant year for the ramen industry. Strolling past the extraordinarily well-designed fake-exterior shops and houses, beneath the backlit artificial sky ceiling, is about as bizarre as it gets. There’s a barber shop, a beauty salon, and even an old-timey cinema with a board displaying movie times. But of course, nothing is as it seems. Food options include nine ramen restaurants, all with their own distinct take on the beloved dish. Fortunately, each store offers small-size bowls, so depending on your appetite, you can sample a few. Sumire, which claims to be the most famous miso ramen shop in Japan, offers their classic Miso Ramen (¥570-900) with medium-thick Hokkaido-style noodles. Its thick dashi (“broth”) is on the lighter side of ramen and goes well with Sumire’s uniquely red yuzu (pickled citrus fruit), for extra fragrance. 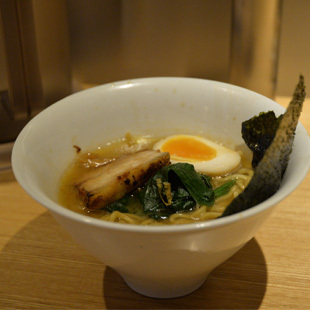 The museum also showcases international takes on ramen, including Italian variations at Casa Luca and German variations at Mukus Zweite, a pop-up from the popular Frankfurt-based Ramen Mukus. Mukus Zweite offers the wonderfully rich Mukus Ramen (¥570-900), a tonkotsu shōyu (“pork bone and soy sauce”) ramen with noodles so thick and chewy, you’ll be yelling “wunderbar” after every bite—yelling optional. The menu also includes German classics like Frankfurters and sauerkraut (¥500). 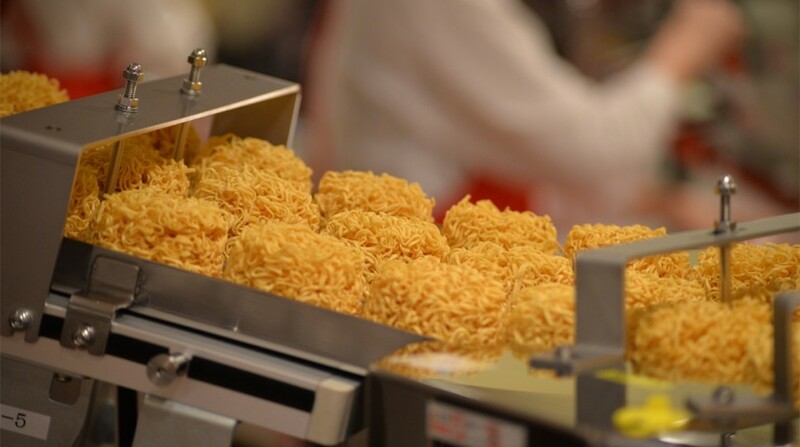 To complete your noodle tour of Yokohama, pop in to the sleek and modern Momofuku Ando Instant Ramen Museum, better known as “The Cup Noodles Museum,” in the waterfront neighborhood of Minatomirai. The museum offers a visual—and edible—history of the universally appreciated instant ramen, which first appeared in 1958, following its creation by the Taiwanese-Japanese inventor Momofuku Ando, the so-called “father of instant ramen.” The second-floor exhibition space features a wonderful reproduction of Momofuku’s Ikeda-based work shed, where he’s said to have concocted his noodle invention. 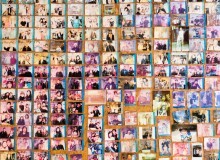 The exhibit also features an aesthetic “instant noodle history cube,” which maps the product’s history. 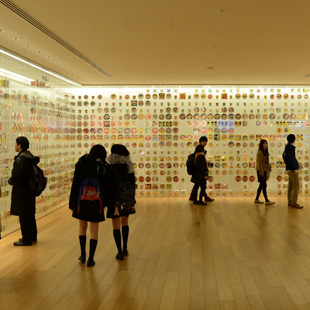 Like its Shin-Yokohama counterpart, the Cup Noodles Museum offers numerous eating options. 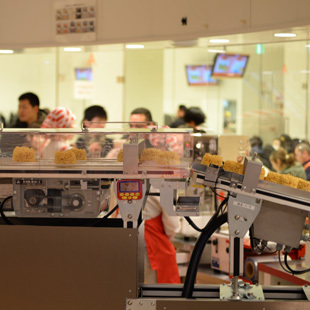 The third-floor Cupnoodles Factory lets you build your own version of the convenience store classic—albeit slightly more gourmet—with over 5,000 flavor combinations to choose from (¥300). The factory also lets you look inside the “instafication” process, with a large noodle machine at the center of the hall. The museum also showcases noodles from around the world in the festively-themed Noodles Bazaar, where you can pick among noodle favorites like Vietnamese pho, Italian pasta, Malaysian laksa, and Indonesian mie goreng. This bazaar is a fitting tribute to the influence that Momofuku’s creation, which was once dubbed “magic ramen,” has had on the world. A home run for Japanese cuisine.